Gabriel Fernandez is shown in this undated file photo. PALMDALE, Calif. -- Four social workers were charged with child abuse and falsifying public records in the death of an 8-year-old Palmdale boy in 2013. The boy's mother, 31-year-old Pearl Sinthia Fernandez, and her former boyfriend, 35-year-old Isauro Aguirre, have both been charged with capital murder in Gabriel's death. "Social workers play a vital role in society. We entrust them to protect our children from harm," District Attorney Jackie Lacey said in a statement. "When their negligence is so great as to become criminal, young lives are put at risk." 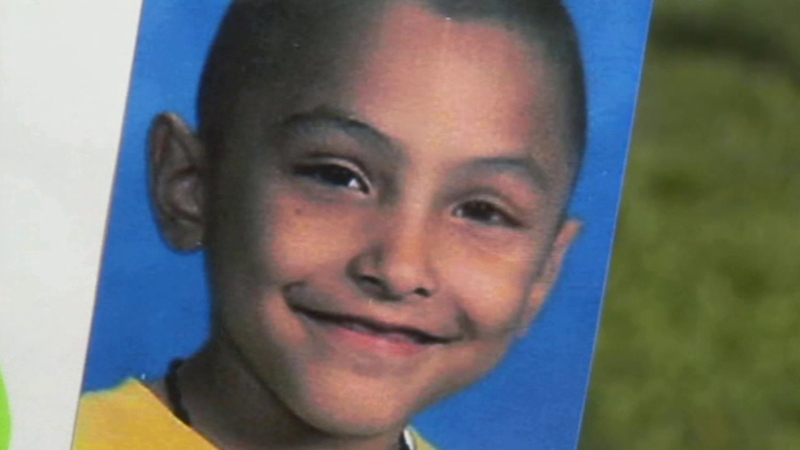 Four employees of the Los Angeles County Department of Children and Family Services were fired as a result of the investigation of the boy's death. It was not immediately clear if the latest charges were filed against these same four employees. A complaint for an arrest warrant filed on March 28 charges social workers Stefanie Rodriguez, 30, and Patricia Clement, 65, and their respective supervisors, Kevin Bom, 36, and Gregory Merritt, 60, each with one felony count of child abuse and one felony count of falsifying public records, according to the district attorney's office. "We believe these social workers were criminally negligent and performed their legal duties with willful disregard for Gabriel's well-being," Lacey said. "They should be held responsible for their actions." The four are slated to be arraigned on Thursday. The district attorney's office said that Rodriguez and Clement are accused of falsifying reports that should have documented signs of Gabriel's escalating physical abuse, and Bom and Merritt knew or should have known that they were approving false reports that conflicted with the evidence of Gabriel's deteriorating physical well-being. If convicted, each defendant faces up to 10 years in state prison.